Despite an economy that continues to stumble along, and increasing concerns about climbing tuition fees, more students continue to enroll in higher education. While enrollment continues to climb, the demographic of the typical college student is changing. 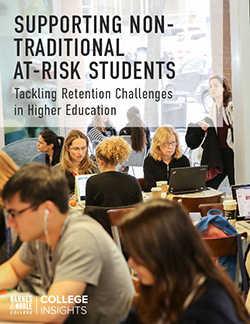 According to The Chronicle of Higher Education’s latest 2012-13 Almanac, The State of Academe, the nontraditional student is becoming more and more commonplace. Colleges and universities are seeing a jump in adult students, part-timers, and transfer and dual enrollments. Maintaining these gains in enrollment, however small, is a concern for administrators. Forecasted declines in enrollment over the next six years in the Northeast and Midwest, according to the Western Interstate Commission for Higher Education, have schools worried. Today, however, almost half of young people who completed high school are enrolled in higher education, compared with roughly a third thirty years ago. The number of students entering college for the first time in 2010 was 2.1 million, up 6.8% over 2006. After three years of increases in enrollment, community colleges saw a slight decline (-1%) in 2011. Still, enrollment is up 22% since 2007. Higher education’s most common award is still the bachelor’s degree, but certificates are the new runner-up, having surpassed associate and master’s degrees. Certificates made up 22% of credentials awarded in 2010, compared with just 6% in 1980. About a third of students switch institutions at least once before earning a degree. 21% of students view themselves as conservative and 28% liberal. 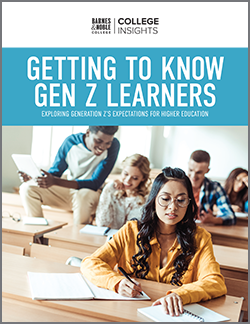 With four in five young adults thinking college is more important than it was for their parents’ generation, it is clear that college will continue to be indispensable in landing a well-paying job after graduation. To read more about this recent study, visit The Chronicle of Higher Education.